By Jon L. Lellenberg, BSI. Of all the BSI Dinners, the one held on January 30, 1940 could well be the most significant. 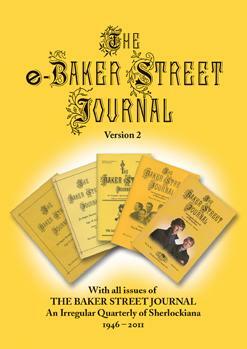 Partly a publication party for Vincent Starrett’s 221B: Studies in Sherlock Holmes, it helped to revive the BSI after a four year hiatus. It was Edgar W. Smith’s first dinner, and the only one ever attended by a member of the Conan Doyle family. 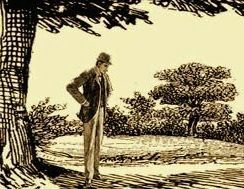 The lengthy feud between the BSI and the Conan Doyle Estate began that night. The 1998 Christmas Annual is something of a landmark itself. The BSI produced Christmas Annuals from 1956 to 1960, but the next one would not appear until this 1998 issue. It won the Morley-Montgomery award that year. With such an auspicious return, a Christmas Annual has been produced every year since 1998. The BSI Trust website has some information about the 1940 BSI Dinner, but the full story of that magical night is covered in the 1998 Christmas Annual. The full 1998 Christmas Annual is also part of the eBSJ PDF archive.